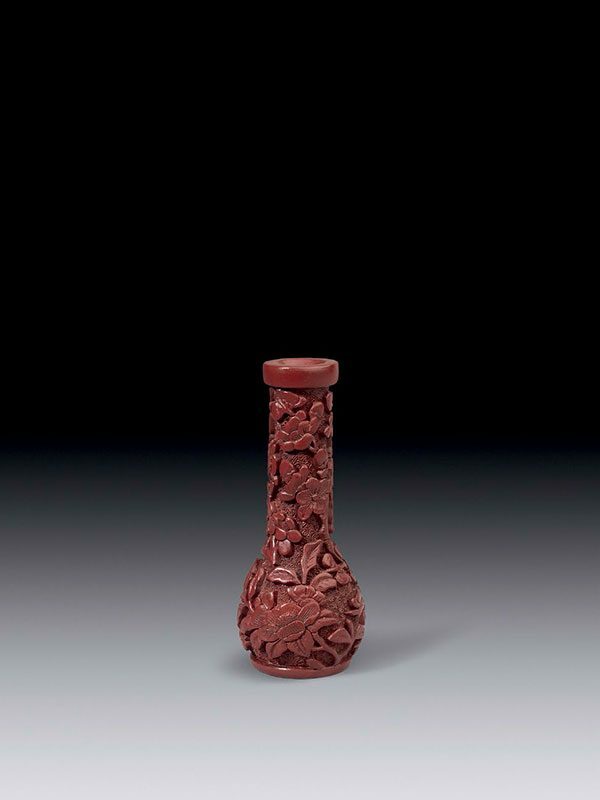 A cinnabar lacquer vase of mallet form with bulbous body and long straight neck, terminating in a lipped rim. The body and the neck are fully carved with branches of plum blossom with buds set against a background of finely carved starburst diaper. The base is lacquered in black. The vase is contained in a Japanese wooden box.